A diesel particulate filter is a device which sits in the exhaust system, it “captures” soot / diesel particulate and other nasty particles so they are not released into atmosphere. A diesel particulate filter can remove upwards of 85% of the particles from the exhaust, reducing harmful emissions. What does the DPF warning light on my dash mean? The DPF warning light displayed on the dash board indicates that the filter is not working correctly or is in need of maintenance / regeneration. Sensors within the device or the exhaust monitor the back pressure and temperature of the system to ensure its working correctly. When the readings from this sensors are outside a preprogrammed limit this will trigger the warning. Once activated, the light should trigger a regeneration of the filter or could indicate that the device is faulty and in need of replacement or repair. There are two different types of DPF regeneration that are commonly used. These are active and passive. Active regeneration of the DPF is performed by the ECU triggering a post combustion fuel injection. This increases the temperature in DPF, burning off the soot and particles that build up in the filter. This type of regeneration can cause higher than normal fuel usage. Passive DPF regeneration takes place automatically on motorway-type runs when the exhaust temperature is high. Many manufacturers have moved to using active regeneration as many motorists do not often drive prolonged distances at motorway speeds. Passive regeneration often uses a DPF additive (see below). DPF cleaning is a manual process that removes the soot and particulates from the filter. DPF cleaning is often achieved using by utilising ultrasonic cleaning technology in combination with specialist chemicals. This process removes all traces of particulate, returning it back to near new condition. There are many companies in the UK offering DPF cleaning services with many offering a guarantee period, free collection and return. Having your DPF cleaned in this way is certainly a viable alternative to replacing the entire unit considering what it would cost to replace it. Q. Why are diesel particulate filters so expensive? 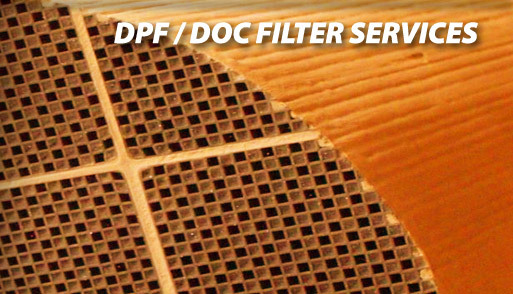 A. DPF filter contain a fine mesh light structure that acts like a net. This net captures the soot and diesel particulates, stopping them from being released into the air. 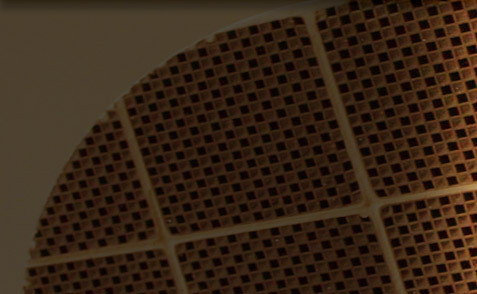 Modern DPF filters are made from various materials such as a matrix of porous ceramic material, Silicon carbide or metal fibres. Due to the materials used and complex design of the structure the filter can often cost upwards of £1000. Q. How long should a DPF last? A. The lifespan of a DPF is very hard to determine. There are many factors to take into account however we would hedge our bets on expecting a DPF for the average motorist to last in excess of 70k miles from new. For the occasional city driver this maybe considerably sooner due to increased soot levels and the ability for the DPF to regenerate under normal driving conditions. Q. What should I do when I see the DPF warning light? A. In the first instance we would suggest that you contact your manufacturer service centre for advise when the DPF warning light is displayed. Depending on the model and make of your car, the process of regenerating the filter will differ. If you are still unsure how best to clear the DPF then we would advise seeking advise on the vast array of owners club message boards and forums. Failure to correctly regenerate the filter in a timely manner can lead to a costly manual regeneration or in the worst case – failure of the device. Q. I have a DPF, what engine oil should I use? A. Always use the manufacturer approved engine oil if you have a DPF. Most manufacturers specify a low SAPS oils. Low SAPS oils are specifically designed to be low in Sulphated Ash – a by-product of diesel combustion that causes the DPF “mesh” to become be blocked. It’s also advised to ensure your oil is changed well within recommended manufacturer guidelines. A. Due to the high costs of replacing diesel particulate filters, a whole industry has emerged around removing the devices completely (DPF removal). This involves replacing the unit with a pass through pipe or modifying the existing unit and removing the mesh or filters inside. The removal of the DPF will cause the ECU error and therefore the service will most likely also include the removal of the error and associated programming from the ECU software. The marketing of this services often includes claims of reduced running costs, extra power and increased efficiency. Q. Is is legal to remove my DPF? A. According to the DPF guidance sheet on the .GOV website. Its is an offence to remove the DPF filter. It is an offence under the Road vehicles (Construction and Use) Regulations (Regulation 61a(3))1 to use a vehicle which has been modified in such a way that it no longer complies with the air pollutant emissions standards it was designed to meet. Removal of a DPF will almost invariably contravene these requirements, making the vehicle illegal for road use. With this is mind PLEASE seek advice before you confider removing your DPF. Q. Is my DPF filter covered under warranty? A. The DPF is seen as a consumable by many manufacturers and warranty providers. The cost of replacing or regenerating the filter is normally not covered but we would suggest seeking advice if you are experiencing DPF related issues. A. A diesel particulate filter (or DPF) is a device designed to remove diesel particulate matter or soot from the exhaust gas of a diesel engine. Wall-flow diesel particulate filters usually remove 85% or more of the soot, and under certain conditions can attain soot removal efficiencies of close to 100%. Cleaning is also required as part of periodic maintenance, and it must be done carefully to avoid damaging the filter. Failure of fuel injectors or turbochargers resulting in contamination of the filter with raw diesel or engine oil can also necessitate cleaning. Q: What type of DPF Cleaning is there? A. DPF cleaning can be achieved using several methods, the first accepted method was pulse cleaning. Pulse cleaning uses blasts of compressed air to remove soot and ash from the filter. Pulse cleaning has several drawbacks. First air being released into the filter can bypass the heavily blocked sections of the filter and take a path of least resistance. Second the blast of air can dislodge the filter substrate and cause the filter to be damaged. The preferred and safest method of cleaning DPF’s is a dual force method which uses intense vacuum on one side of the filter while using focused high pressure air on the other side, which allows for cleaning of the individual cells. Q: What does Regeneration mean? A. Regeneration is a process that occurs when the filter temperature is elevated at a specified rate. The elevated temperature allows for the unburned fuel (soot and carbon) to ignite. As the unburned fuel ignites it turns to ash reducing its volume and opening the pores in the walls of the filter cells, allowing for complete removal of the ash in the cleaning process. Q: Does the regeneration clean my filter? A. Regeneration does not clean th e filter, however it does reduce the volume of contaminates in the filter. Regeneration allows for a more complete filter cleaning. Q: Do I have to service my DPF? A. DPS’s will all have to be serviced or cleaned at some point. By it’s nature a filter is designed to remove contaminates which accumulate in the filter until it is clogged. DPF’s are expensive so the obvious choice is to clean or service rather than purchase a new replacement for thousands of dollars. A. The DPF or emissions systems required on Diesel powered engines need to be approved or verified by CARB (California air resources board) or the Federal EPA. The verification certifies the systems and manufacturers have been through rigorous testing procedures and will meet the required standards. Q: What is Smoke Opacity Testing? A. Many states require diesel powered vehicles to undergo annual opacity testing. The Opacity testing system measures th e amount of particulate matter being discharged through the exhaust system. In California opacity testing is mandatory. If the records are not properly maintained with the vehicle owner the fines can be exorbitant. Q: Is there a serviceable Kit for my OE DPF? A. Certain smaller trucks are equipped with filters which are enclosed with cone ends. The OE manufacturers have designed these filters to be replaced rather than serviced. We have designed kits that allow modification to the filter, this allows access to the filter, making the non-serviceable filter serviceable. These include Powerstroke (Ford), Duramax (Chev, GM) Cummins (Dodge) Sprinter (Mercedes) and International Trucks. Q: How often should the DPF be cleaned? A. Vehicle Manufacturers publish recommended cleaning intervals, however many criteria have a bearing on the cleaning life of a DPF. Duty cycle has a direct impact on the span between cleanings, long haul trucks will require fewer cleanings than local delivery vehicles, this is due to the extra heat generated when operating at higher engine temperatures. Mechanical problems (injector problems, Oil consumption, EGR failures) will require premature cleaning. Q: What happens with the soot & ash after cleaning? A. The residue removed from the DPF being cleaned must be treated a hazardous waste. The waste should be stored until the maximum allowable quantity is accumulated, and then properly disposed of according to local regulations. !. Problems with our site? Contact our Webmaster. © Copyright 2014. Chatham Radiator. All Rights Reserved.